Delightfully tart and crisp. 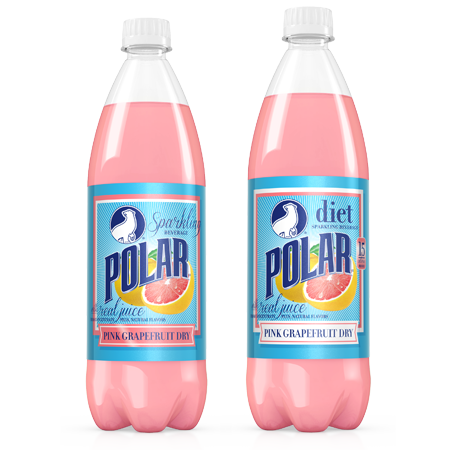 Always sparkling, with a grown-up touch of sweet. 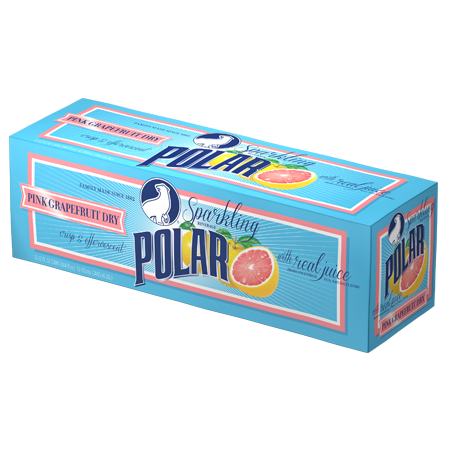 Polar Pink Grapefruit Dry shares the same unique effervescent enjoyment as Polar Orange Dry but with the tartness of a ruby red grapefruit. The authentic flavors and aromas of grapefruit essences add depth to the bubbles, while the real juice is simply bottled sunshine. 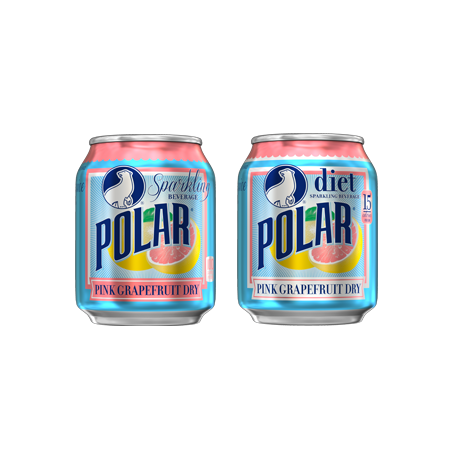 POLAR PINK GRAPEFRUIT DRY CONTAINS CARBONATED WATER, HIGH FRUCTOSE CORN SYRUP, GRAPEFRUIT JUICE FROM CONCENTRATE, CITRIC ACID, PHOSPHORIC ACID, POTASSIUM BENZOATE AND POTASSION SORBATE(PRESERVATIVES), GUM ACACIA, TOMATO LYCOPENE EXTRACT (FOR COLOR), NATURAL FLAVORS, ESTER GUM, CALCIUM DISODIUM EDTA (PRESERVE FRESHNESS). 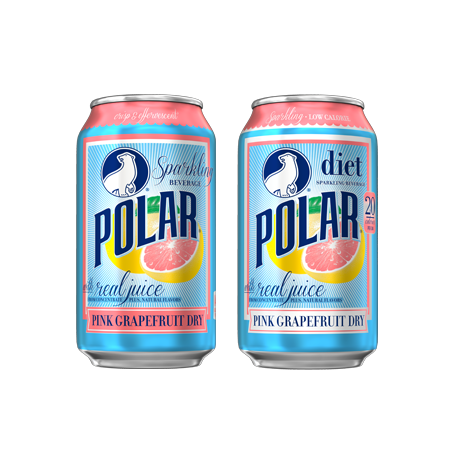 DIET POLAR PINK GRAPEFRUIT DRY CONTAINS CARBONATED WATER, GRAPEFRUIT JUICE FROM CONCENTRATE, CITRIC ACID, PHOSPHORIC ACID, POTASSIUM BENZOATE AND POTASSIUM SORBATE (PRESERVATIVES), ASPARTAME, GUM ACACIA, TOMATO LYCOPENE EXTRACT (FOR COLOR), NATURAL FLAVORS, ESTER GUM, CALCIUM DISODIUM EDTA (PRESERVE FRESHNESS).